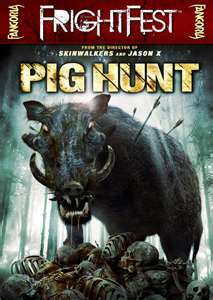 Pig Hunt is and independent movie in the Fangoria Frightfest series. Released in 2008 Directed by James Isaac. It is the story of a group of "friends" led by John (Travis Aaron Wade), who go on a hunting trip in the woods of Northern California. John's late uncle owned a cabin on some land there, and John hunted with his uncle a bit as a kid. When they get there, they run into a hippie of sorts, who saves John's girlfriend from a rattlesnake. He gives the movie it's first warning that things are a little different than they were back in San Fransisco, where the friends are traveling from. As they are preparing to start their hunting trip, they hook up with some of the local hillbillies, who accompany them. The bunch form an uneasy hunting party, and set out to see what they can get, all the while discussing "The Ripper": a local legend, 3000 lb wild boar. The hunting party dissolves when, during a confrontation, one of John's friends kills one of the two redneck brothers. The surviving brother, played by Jason Foster, vows revenge and runs off to rally his hillbilly brethren. (The leader of the hillbillies is played by Les Claypool of Primus, who also contibuted to the film's soundtrack.) As the hunting group scatters, and prepares for the pending battle, they begin to fall prey to the hippie, who runs a commune filled with women, who have a marijuana operation and belong to a cult that follows the Ripper. This begins a four way battle between the city folk, the hippie cult, the hillbillies, and the Ripper. Now this show is far from perfect. It is a low budget horror movie, and you can tell. That being said, it is pretty entertaining! The effects used to create the Ripper are good. It is all practical effects and no CGI. Overall, most of the special effects are good. Lots of gore and tons of blood! The acting is a bit uneven, but Jason Foster's portrayal of the older redneck brother is great! I was wary of the way the film was being set up, with John's girlfriend coming along, the almost overly diverse group of friends, but it doesn't sink into typecasting as I feared it might. It is well into the movie before you get to see the Ripper, but it ultimately is worth the wait. FUDGE! No more Jungle, HELL I am going to miss the podcast! Are you covering all horror movies now? I know you are disappointed about the podcast. There is work being done to bring another podcast to the people, we'll keep you posted on it's progress. 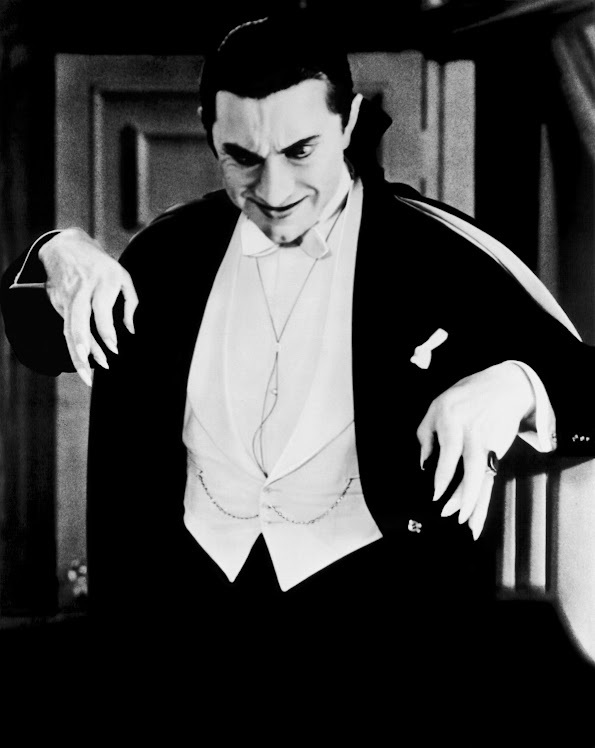 As for the movie recommendations, this site will be vampire-heavy, but I will discuss other types of horror shows as well. I don't want to burn out on our fanged friends! Please stop by whenever you like!